Does local public corruption generate partisan effects on polls? During the recent years of economic boom in Spain, political corruption at the local level boomed as well. In fact, it increased from 7 publicly denounced cases from 1999 to 2003 to at least 180 in the legislative period (2007–2011). In this paper, we explore this phenomenon in two related ways: how it has affected voting results and political participation, and whether the wrongdoing of local politicians has undermined the voters’ trust in them. We constructed a socioeconomic municipality database that matched polling results and corruption cases and then estimated a voting-share equation by difference-in-difference and matching techniques. Our results confirm that the voters’ attitude towards corruption is significantly different with respect to parties on the right or the left. In fact, after a prosecution in a local corruption case, abstention increases by an average 1.8 percentage points, left-parties’ voting share is reduced by approximately 2 percentage points, while right-parties’ share increases approximately 2 points. Winter, M. & Weitz-Shapiro, R. (2010). Lacking information or condoning corruption? Voters attitudes toward corruption in Brazil. APSA 2010 Annual Meeting Paper. 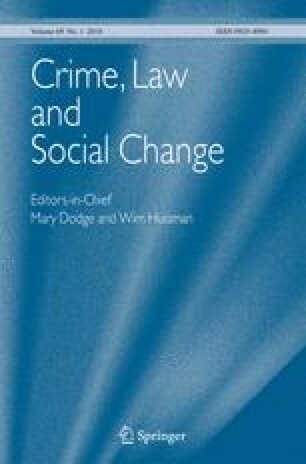 Available at: http://ssrn.com/abstract=1641615.